Hello and welcome to my blog. Today I have the deal of a lifetime to share with you. BUT you only have just over a week to take me up on the offer. 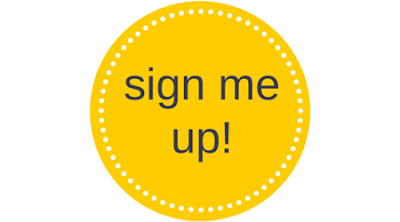 So please keep reading and hit the big yellow button down the bottom. how does $235 worth of product sound like for just $169. Yep you read that right, get MORE than what you pay for. Imagine doing that at a shop. It would be the quickest way to the inside of a police car. Want 10 FREE ink pads? 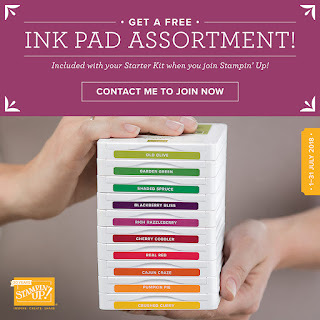 Yep for July only, you can get 10 FREE Ink Pads worth $117 for nothing. So get this. You pay $169. For that you get $235 worth of products that you pick. And now for July, you also get the 10 FREE Ink Pads. WOW Thats an amazing $352 of quality products, BUT you only pay $169. And they send it to you for FREE. Stampin' Up! can be everything to everyone. Whether you want to just purchase for your own use and receive a discount, or you want to make it into a business. You can do it your way. I have done both. I am here to answer any questions you may have. I was introduced to Stampin' Up! around 5 years ago. It took me 12 months to decide to join. Because I loved the products but I especially liked that I could get a discount just for purchasing craft products that I adored. I just loved that. 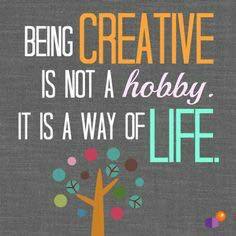 And I love the fact that I get to do what I love, inspire others, share my passion and get paid for it. So why would you want to join the Simply Inked Team? Well why not! We are a group of like minded ladies, but we will take any blokes out there who are interested too, who love to craft and share what we love. But we are more than that, we are a family of stamping sisters. Every one in my team is treated the same. It doesn't matter if you just buy for the discount or a business demonstrator, I love you all equally. Several online communities full of inspiration and fun. There is no obligation to sell if you don't want to. There is no penalty for stopping at any time. Got any questions, them be sure to contact me.